You actually think most people are more interested in what you are going to do with your bike than how warranty is handled on a 5000 € bike? Yes. Gary has a unique "style" and we don't always see eye to eye but he does seem to know his stuff. @Gary I'm interested in the mods you're planning. The narrower tyres are a no brainer for you, but I'm more interested in why you don't think the "moto" wheel set will suit you. You guys don’t see the mixed fad coming?? Mark my words this will be the next big thing over the coming seasons on all categories of bikes. It is about a lot more that short chainstays. The 29er front wheels adds so much stability and cornering traction and the 27.5 rear maintains flickability, bike control and bum clearance on the steeps. I’ve been doing it for years and absolutely love it! Wants some empiracle evidence? UCI removed the 40 year ban on two wheels of different diameter on 10/2/18. The very first EWS race with the new rules (last weeks ewsnz) Martin Maes won every single stage on a mixed wheel size bike! That’s a first in ews history. Another empiracle study done by the bike maker Liteville discovered 80% of the increased roll over provided by larger wheels comes from the front wheel. So mixing is like having your cake and eating it too. It’s brilliant y’all. Totally agree with you. I ride my Levo with 29 front and 27.5 rear and like it a lot. Definitely the best setup for my riding. Sorry, my mistake, it the display that's from an E7000. It's really all just down to my own personal preference Dom. I'm 5'11" so not exactly tall and just don't get on with 29er mtbs at all. I can ride them (possibly actually faster in many situations) but I just can't stand the lean in the higher axle and larger diameter wheels gives when turning/changing direction. It's far more of an enjoyment preference than anything to do with the larger wheels performance in covering ground fast for me. I'd also far rather have a mismatch in suspension travel (in favour of more up front) over less fork travel and a larger diameter front wheel. this also allows more scope for finetuning of ride height via suspension settings. We don't ride "Moto" bikes (proper engine ones). they'd actually be worse for the sort of riding I tend to do and aren't designed to. I've always run a grippier front tyre up front. (since the early days of BMX) which means either a softer compound, more aggressive tread, or larger volume (or a combination of the 3) front tyre. The 29 front, 27.5+ rear idea goes against this thinking some what. Gary reminds me a lot of the late Jobst Brandt, who also would have chided me for using the term “chain stretch”. Jobst was the knowledgeable curmudgeon of rec.bicycles.tech and a mentor. Maybe YT will follow your lead and give us that option from the factory. YT were great with my Jeffsy, in combination with a great LBS. No major issues, just a few niggles. My nervousness about the Decoy is buying a first gen product and going through all teething issues, but it just looks so good!! To be fair to YT, they usually get it right out of the blocks. Got to sell my Motorbike first. New family on the way so I’m selling my expensive motorbike to buy a “cheap” eBike! plenty YT supported big name slopestyle/Fest etc. riders ride Tues' with 26" wheels. pricing is the state’s is higher than I’d expect too. Seems like YT maybe consider themselves a premium brand despite the direct sales model. Most of their bikes sell out, so makes sense to raise the price a bit. What you've said is probably true mate regarding pricing. 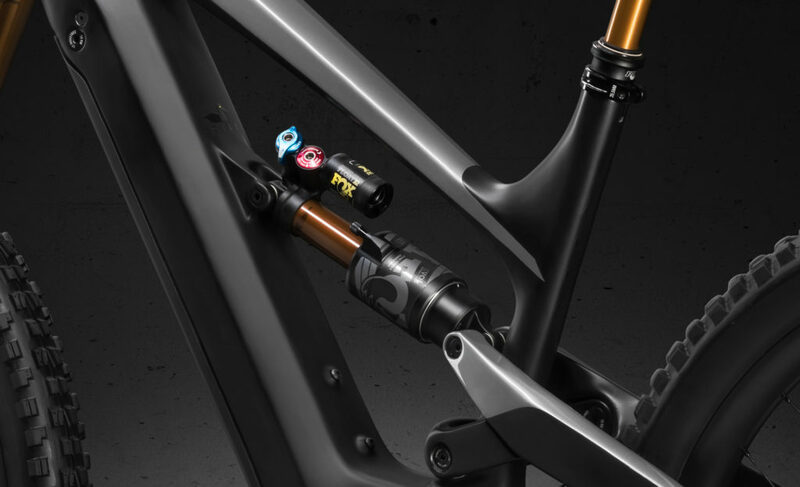 The problem is there are other options., I'll likely buy a Norco Sight instead of this, and they've positioned themselves in a place where a lot of manufacturers can undercut them on pricing with new models. Those Manufacturers might even have shops that offer test rides. Nope. on the upperside of the downtube below the shock. Nice to have the option though. Assume that needs the YT specific mini bottle thing? Looks like a mount for gear cause a bottle that small is for wee little lads. Nice to see cage/gear mounts down low. Not sure on different wheel sizes. Setting the SJ with 29 2.35f and 27.5 2.8r to try out the hybrid wheel size thing. This YT really is a great looking bike, at an excellent price too. 1. Buying someone's first attempt at an eMTB - after all Specialized has designed and built eMTBs for a long time, and has a well resourced eMTB specific design centre, and yet still had issues with the early 2019 Levo's! 2. Designing their own battery / BMS / power system when they have never done this before. I may want to give them a season to iron out any issues. 3. Shimano E8000 - yes I know it is a great motor system, but I'm just not a fan. I think that though 70Nm was a lot in 2016 when it was first announced, the current trend is to way more than that now (Brose, Rocky Mountain, Flyon, Panasonic, etc. ), and I think this will age the bike quickly. 4. Not sure how firmware upgrades etc are done with the 'direct to consumer' approach. 5. And a biggie........No BLEvo! Anyway, as expected, YT certainly seem to have executed this well, so good luck to them. I think it will sell well. Plenty of chatter about it, how many of us (and many like me are likely to be YT owners already) have completed their purchase having spent a glorious few days comparing spec and colour? So I ordered an all black CF Pro - like Rob said, it’s a sweet spot without the carbon wheels and Kashima coatings, the 2016 All black analogue Capra CF Pro benefits from the shiny bits. So at some point this year (it won’t be 5th June will it!!) there’ll be a tough choice to make in the bike shed most days....good times indeed.